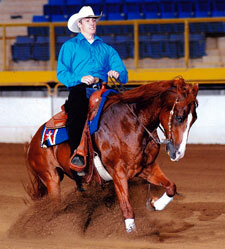 Congratulations to Dalton King, advancing from IHSA Walk/Trot rider in 2013 to competing in the NRHA 2013 Summer Slide! 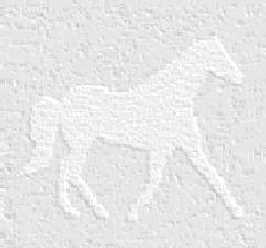 Click here to see the CU Horses! 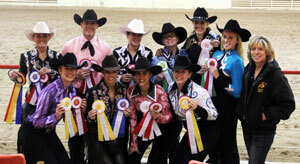 Congratulations to Kelly Meyer and Brittany Anderson on their wins at the Regional competition! Good luck at Semi's in New York, go CU Lady Buffs!! 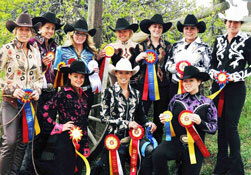 2012 CU Intercollegiate Horse Show Association Year End Zone 8 RESERVE HIGH POINT CHAMPIONS! High Point Rider: Hana Fancher. 02-12-2011 Reserve High Points Team Champion at Nebraska College of Technical Agriculture. 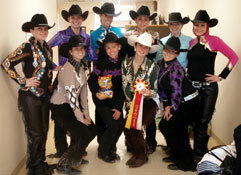 10-06-2010 Reserve High Point Team Champion at Laramie County Community College. 02-14-2009 High Point Team Champion at Nebraska College of Technical Agriculture. Blue ribbon winners: Elyse Myers, Christine Pugh, Hana, Kirsten Wu, Kelsey Slusser, Rachel McGehee, and Sara Wells. 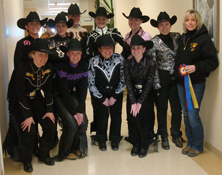 11-08-2008 High Point Team Champion at Laramie County Community College. Kelsey Slusser High Point Rider. Blue ribbon winners: Kelsey Slusser and Christine Pugh. 10-11-2008 Reserve High Point Team Champion at University of Nebraska. Blue ribbon winners: Kelsey Slusser, Vanessa Wittstruck, and Sara Wells.